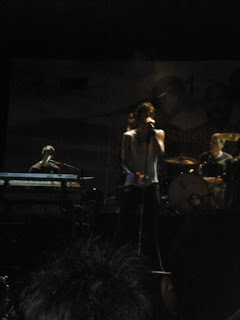 Below are some pictures from the AAR concert by Digi a few weeks ago... *All pics courtesy of Ella's cam. Ooh,about the title of this post..I WAS a huge fan of Grey's 2 years ago and I have all 3 seasons on dvd--all when Burke was in it..when Burke left,I sort of left too..Because I love watching the dynamic between Burke & Christina that I will quote their lines..hahaha.Thus,I sort of skipped the 4th season and a lot of the 5th season too.. But the finale from the 5th season blew me over!It was a great finale that had me hanging on for more and I have to say Grey's Anatomy is back with a big bang with the 6th season.A lot of new faces and I am so glad that Christina might get a new dude in the form of the dishy Avery /Jesse Williams(whom I had a crush on since he starred in the Sisterhood 2 movie) if what she has with Owen goes bust..hey,a girl should always have options..ahaha.I kid!! So people,do watch Grey's season 6--cos' it's awesome!! 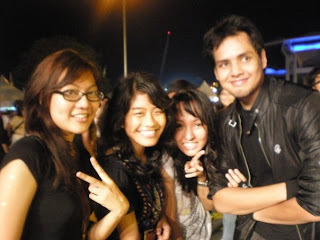 ala jess...wish u were there too..but m sure they'll be back next year maybe?? heheheh yeah jess! wish you were here and we can go concert together!! 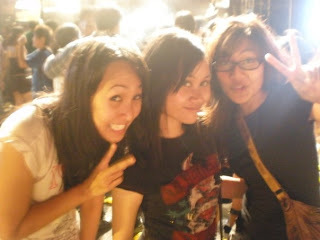 welcome izza..thanks to el's camera too...tat was a gr8 night!